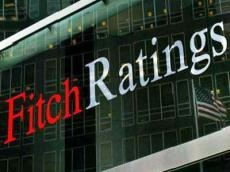 Azerbaijan’s economy will grow 3.5 percent in 2019, Trend reports with reference to Fitch Ratings. Fitch Ratings has affirmed Azerbaijan’s Long-Term Foreign-Currency Issuer Default Rating (IDR) at 'BB+' with a Stable Outlook. The growth is supported by the coming on stream of Shah Deniz 2 gas field and investments stemming from the extension of the production sharing agreement for the exploitation of the country’s largest oil field, reads the report. “Tourism and agriculture will foster non-oil sector growth,” the report said. Banking sector health is improving in Azerbaijan, according to the report. “Credit growth recovered to 7 percent in 2018, supported by lower interest rates, and capitalization improved to 19.5 percent (excluding International Bank of Azerbaijan; IBA) at end-2018,” the report said.